Wildlife Removal | Pest Control | Westchester, NY. Unwanted pests and wildlife can take refuge inside inviting homes. Nuisance pests and wildlife can cause damage, contaminate food, and increasing your risk of disease from exposure. QualityPro Pest & Wildlife Services can provide professional pest control and wildlife removal in Westchester County NY and Rockland, Putnam, Bronx Counties and Greenwich CT. We are committed to effective and humane removal of pests from your home. Services available 24/7. Our wide range of animal removal and pest wildlife control services include bat removal, raccoon removal, snake removal and other pest animals. Our safe skunk removal and squirrel removal services use the humane techniques for the animal and the environment. Techniques that are professional and effective at achieving lasting results. You can depend on us for the most expert animal removal and pest control services in Westchester, Bronx, Putnam and Rockland Counties. QualityPro Pest and Wildlife Services, provides a 10% discount on your first service. We also provide FREE inspections with services rendered. We are fully licensed and insured. Services are available 24 hours a day. We handle all wild animal concerns involving raccoons, bats, snakes, opossums, skunks and more. The only calls we do not take are those involving domestic dogs and cats. As a winner of the Super Service Award from Angie’s list in 2015, you can be certain of exceptional service. 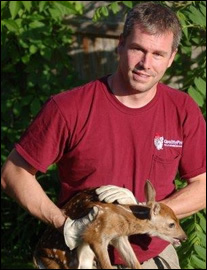 Simply call 914-712-6333 with any questions about wildlife removal or pest control. We look forward to helping you control your pest wildlife animal problems.